Many thanks to all the pro-life people from across the state who showed up in Jefferson City to speak to your legislators and listen to our statewide leaders! It was a wonderful day full of inspiring messages, prayers and music! Pray for our statewide leaders as they work to protect our tenants of faith and pro-life values. And, pray for our legislators as they work to pass pro-life legislation to save babies, protect women and protect our religious liberties! "We have to do everything in our power to stand up for, protect and defend the lives of the innocent and unborn" -Missouri Governor Eric Grietens. Click here for more photos from this year's "Show Me Life" Pro-Life Action Day. Click here to see the full update and information on all bills we are working on or opposing. 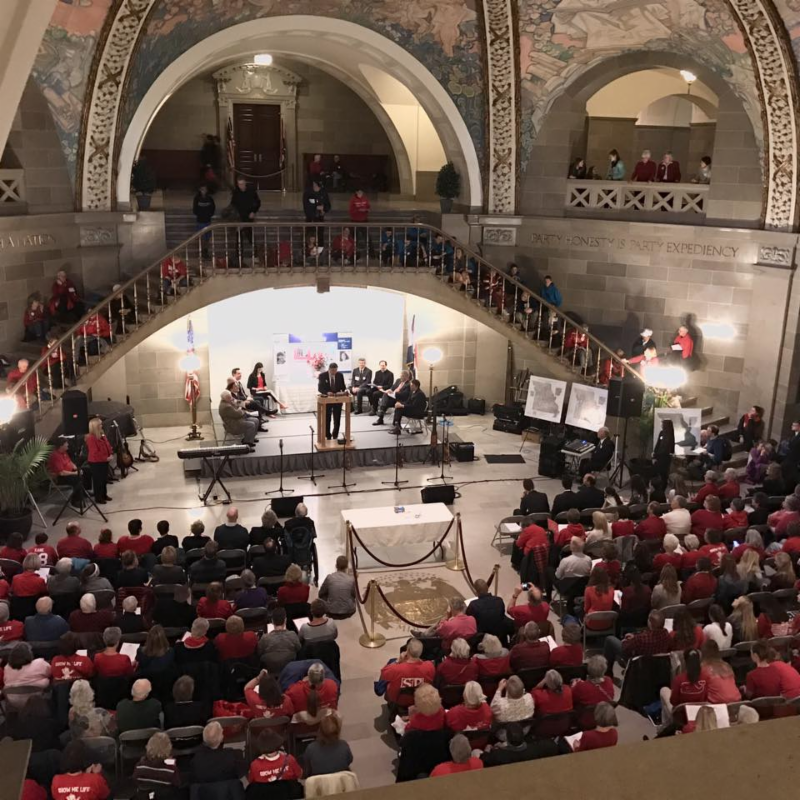 Link - Missouri Right to Life held its "Show Me Life" Pro-Life Action Day at the State Capitol on Tuesday. Gov. Eric Greitens spoke at the event and said he is honored to stand with the group. 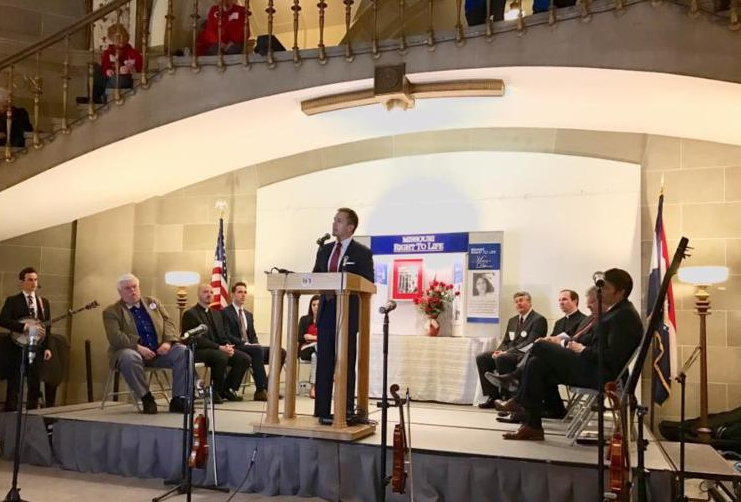 Link - At MRL's pro-life action day, Governor Greitens said there will not be abortion sanctuary cities in Missouri while he's governor. Link - The right of Americans to live out their faith in the public square is paramount to Missouri's new attorney general, Josh Hawley. Link - Lawsuit seeks to invalidate certain state laws on abortions. Link - The March edition of National Right to Life News is available online. March 18 - St. Louis - TRUTH TOUR at Planned Parenthood, 4251 Forest Park Ave, 10:00 a.m.-12:00 p.m.
March 28 - Jefferson City - Show Me Your Glory Lord Prayer Event, Missouri State Capitol, first floor rotunda at noon hosted by Bott Radio.